Two months ago we spent an intense week of outdoor activities with two friends for an experience of a lifetime! We don’t have all the photos yet because we had to use waterproof film cameras and ended up accidentally swapping it with a friend. After taking a quick stop outside of Munich to pick up our fourth partner in crime, we arrived in Garmisch-Partinkirchen, the location of our quaint cabin. The resort hosted celebratory activities including traditional Bavarian musicians, mechanical bull riding, and short game challenges. Then once the sun went down, the fireworks came out! And it was quite a show, lasting 15 minutes. A fun way to start the trip! 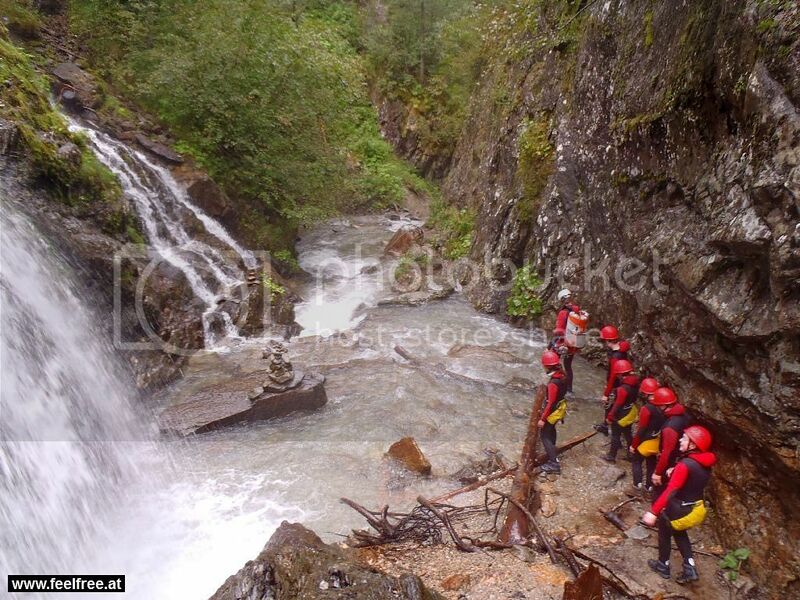 The rafting happened in Austria, but we were able to get in on a group that included travel to the location. Woohoo! The weather was agreeable (and seemed to trend that way once on the Austrian side of the Alps), so squeegeeing into the wet suit, while not easy, was exciting. We had a really fun guide, and some of the fellow rafters were in the water more than the raft… but mostly intentionally. Out of all the water-based activities, the rafting was surprisingly the least intense (just say that to your shoulders after paddling for an hour!). Kayaking occurred on the German side of the Alps, and the weather confirmed it with grey misty clouds. Luckily, the instructors said this was good weather for kayaking. Unfortunately, one friend had to stay behind, feeling under the weather, so the three of us joined a small group to get some practice done in the Eibsee Lake before heading to the river. The lake was gorgeous, although the kayak paddling was much more difficult and tiring than it looked. And going straight isn’t easy too! Once we got the basics, they had us play kayak polo. It was a bit unbalanced (there were some really good kayakers in the group), but really fun anyhow! The river was a bit intense, but at least the current would push us along. The more difficult aspect to the river was doing a 180 into eddies. I didn’t catch that a “rock” bar (think “sandbar”) was in the middle of the river, and got caught on the wrong side. I ended up “scooting” across the rocks, which was harder because I couldn’t stop laughing while everyone else passed me by giggling. By the end I think we all felt a bit bruised. The morning started off cloudy, so we weren’t sure the paragliding was going to happen until an hour before. It was early, but the guides checked and give it the green. We rented a couple bikes and went to small hut to meet two locals. My guy had 5,000 flights under his belt, and spoke enough English for us to get along. They had on gigantic nylon bundles that looked to weigh as much as them, but we had to walk fast to keep up. Taking the egg-shaped lift up the Alpine mountain, we turned down a dirt path to be ambushed by cows with giant bells around their necks. The lined up on the ridge, five or six, before breaking into a fast gallop at us. And what do they want? Treats and petting. Awwww… one was tempted to eat the parachute, but we were running and up in the air in time. 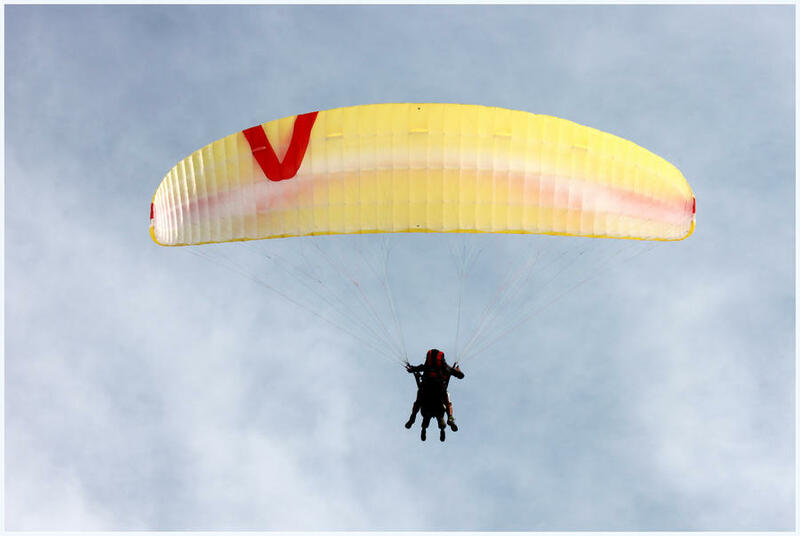 Tandem paragliding means the only work you need to do is the initial run, then you let the guide take care of the flying part while you sit in almost like a canvas chair. We did some crazy spins before making a landing. It was awesome! 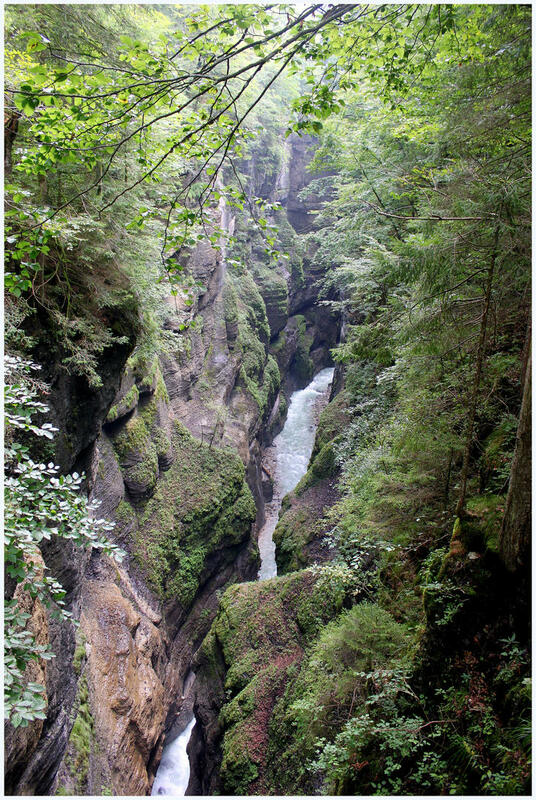 Unfortunately, the same friend felt sick again after that, so the three of us took the bikes along the trail to the Partnach Gorge, which was spectacular! We saw it a bit about four winters ago, but this time we walked the whole thing, then had the bright idea to hike up to walk along the ridge. I think one of us was feeling a bit murderous after that… but it was a beautiful day with a relaxing bike ride back to the cabin. I’m glad we didn’t do the tour thing for this and just went on our own. It was easy (the logistics), and no pressure. One friend had to head back home, so we took the morning to try our hand at geocaching, unsuccessfully. We weren’t terribly prepared, although we did print two geocaching sites from geocaching.com. We used a car GPS, and while those are fairly accurate for driving, we couldn’t input the coordinates properly, and it was off by 10-15 feet (not bad for a car GPS). Canyoning. In one word? Awesome. We had to get up early to drive back to the Feel Free company in Austria. Once we crossed into the Austrian Alps, the sun broke through although it was still a bit chilly. Donning wet suits, rappelling equipment, and hiking boots, we piled in a van and drove up high in the Alps, where we were dislodged near a bridge over a rocky river. That we then rappelled over and into… we saw beautiful waterfalls, slid down natural rock slides, cannonballed into small but deep pools of water, rappelled a good deal, and earned several bruises. It was quite an experience! At the end, they set up a fire and grilled cheese spaetzle. Yum! 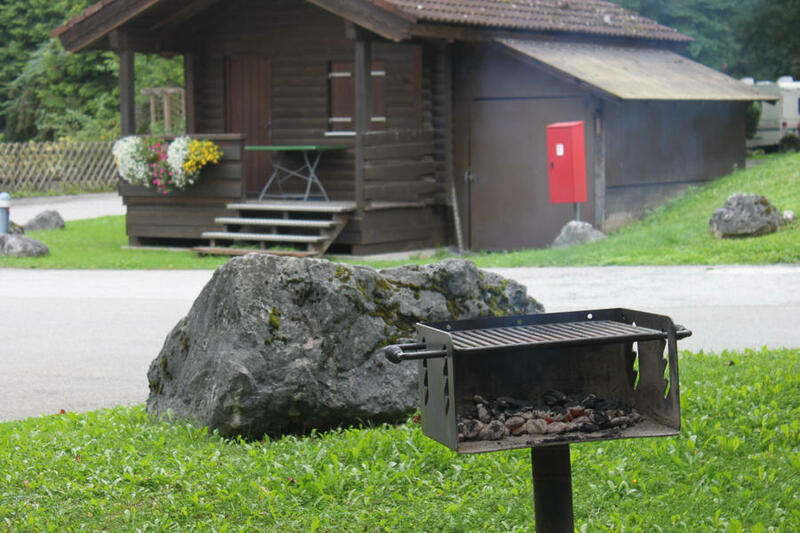 I had only boiled spaetzle before, who knew it could be grilled, giving it a smoky campfire taste? This activity is one I think we all would love to do again (although I honestly can’t think of one activity we didn’t really like). Because we spent so much time on the go, we opted for a bus tour through Austria and into northern Italy. We made a stop in Vipiteno to sample wine and shop a bit, then went to Bolzano for lunch and to visit the Otzi exhibit. Otzi is the oldest preserved human and is “iced” daily. The exhibit was fascinating, although it was disturbing to see a musical had been made from his story… a musical. I had to look it up when we got back, and it seems absolutely dreadful. But it was a beautiful day in Italy (and honestly, there are very few days in Italy that aren’t). After checking out, we made a slight detour to see Linderhof Palace. Photos aren’t allowed inside, but the interior was opulent and cozy at the same time. I think the grotto was the best feature, manmade for Ludwig II to enjoy his private opera or other musical performances, sitting in a cave or paddling around in his golden swan boat, and afterwards swimming in the interior lake that could be heated. Dude! He also created several cabins from folklore or fairy tales, where he would have servants dress in costume for the full effect. After that, the ride home was fairly humdrum, although we took a fairly scenic road along the border that inspired me to look into possibly doing this trip again in the future with a slightly different locale.